You can’t do it all, and you won’t achieve your business goals if you try do it all yourself. If so, your personal limitations become your business’ limitations. You’ve got to develop leaders if you want to grow. How do you do it? 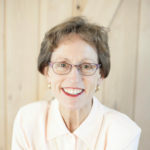 Judy Cirullo, PT, ACC, CPC, ELI-MP has spent decades in physical therapy – as a therapist, owner, and now coach/consultant. Her professional experience has taught her many things, but one of the more crucial things she has learned and now teaches is that true freedom and stability for the business and business owner is achieved when they have a unified leadership team. It’s one thing to simply have a team, but to have a team that is unified in purpose, mission, and vision is an unstoppable force. Judy trains teams across the country and now shares some of her secrets with us. I’ve got Judy Cirullo, a physical therapist who has been a very successful physical therapist over the past 40 years. She has owned and operated four private practices with one satellite, one fitness business in four different states. When I say that, she has opened and sold multiple businesses in multiple states over the past 40 years, so she knows what she’s talking about when it comes to getting a clinic off the ground, selling it and moving on. She’s also the Cofounder of the Aquatic section of the APTA and has written multiple books, articles, and chapters. However in 2015, Judy decided to enhance her partnership of helping other people reach their potential by focusing on business owners and teams. Her passion shifted from helping patients to helping business owners and their teams and transforming those teams into profoundly unified teams who are passionate about their purpose and their unified mission and vision. 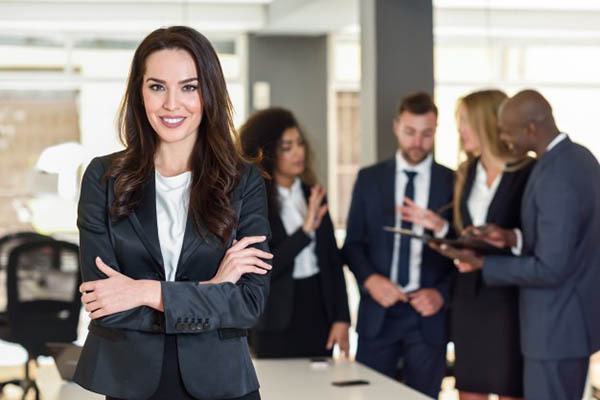 Her focus is not just teams, but also developing owners into masterful and efficient leaders with teams that support them and are productive and propel the business forward. She currently coaches one-on-one private coaching. She does leadership team development coaching. 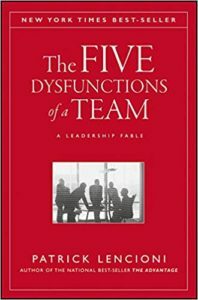 She does team trainings in line with Patrick Lencioni’s book, The Five Dysfunctions of a Team. She is a public speaker. We have Judy Cirullo, a physical therapist, who has been a successful physical therapist and a physical therapy clinic owner. She has trained and is professionally working as a coach and consultant for business owners across the board especially with physical therapy practices. I’m excited to bring her on because we’re talking quite a bit about developing your leadership team. Judy, thanks for coming on. It’s great to talk to you. Can you share with us a little bit about your story, Judy? How did you get into physical therapy? How did you become a clinic owner and what got you to where you are now? Physical therapy was always my passion. I was bound and determined to go to school to be a physical therapist, so I did. It was a passion for me clinically for 40 years. It still is. After about two years in a hospital setting, I decided I needed more. I opened up my first practice in California in ’92. Five years later, I sold that one as we moved to North Carolina. My husband’s medical training took us all around, which was fine. I had a second practice in North Carolina. I also had a fitness business. They were side by side. It was exercise based. The clinic ran three days a week and the fitness business ran three days a week. I had someone else who worked with me on that. Those were all Calf based at that time. From there, we went up to Philadelphia and I opened a practice up there at the same time while I was developing and found the Aquatic section of the APTA. I saw that. Thank you so much for your leadership on that. It was a need for us because it’s a component of what we do. It needed to be integrated into our professional standards. That happened at the same time, so I had an integrated Aquatic land-based practice there. I merged with another practice when it was time to move again. We moved back to the West Coast. We moved to Oregon and that’s where my fourth and final practice was for almost twenty years. I sold that one. At the same time, I was getting into coaching because it’s a passion to help other people as we PTs do. What I saw was a need to help others who struggle with identifying the right ideal team players who will they then surround themselves with to help their practice grow and scale successfully. The challenge for us to develop and have the right people around us. Let alone as we’re thrust into some leadership and management, we have no training in that. It becomes a real challenge for us because we don’t have the skills or the toolkit that allows us to be successful in that realm as well as the clinical realm. It’s one thing for us that we’ve never been trained in business. A lot of times we think we know a lot about physical therapy, so that we’re going to be good clinic or business owners, but we have never had any training in running a business. That in and of itself leaves us ill-prepared and naïve as to the demands of being a business owner. Add on top of that, as you continue to grow, while you can’t clone yourself, you need to start developing people around you. An executive team or leadership or whatever you want to call it in order to carry out your vision and your purposes in this kind of business. How do you do that? That’s another level of business ownership that we don’t quite know how to handle. I’m so glad we’re talking about this. When I went to PPS, that was one of the most attended sessions that I attended and that was developing your leadership team. I’m glad we’re talking about this so that you can give us a little bit of insight and share how do we create leaders within our company, how do we identify them, how do we cultivate them? What stages do we need to start incorporating them? I’m excited to share some of your insights regarding this. I’m sure a lot of other people will get a lot of information from it as well. One of the first things when you start to think about developing a leadership team is what is a leadership team? What is your vision of what that leadership team will do? How they will respond? How will they communicate? What will they do? Would you always have these visions? You’ve got to understand what it is about that team? More importantly developing and identifying a leadership team, it can start with one person go to two to ten. Developing a leadership team starts with you as the owner. You have to know who you are, what your needs are, what your wants are, both personally and professionally. What are your values? What do you envision yourself doing as you develop this team? When I worked with owners and their teams, it starts with a basic level of finding out who you are as an owner. What your definition is as a leader? What do you want in a leadership team, one year, three years, five years down the road? Go from there. You can’t develop leadership team members if you don’t know who you are and what you’re doing and what you want first because you become the role model for that. If you have certain triggers, responses and fears, which we all do, those will carry over into a leadership team until you work on some of those particular variables yourself and delineate what it’s going to take to develop and lead those other individuals. As you’re talking about figuring out who you are as a leader, do you talk with your clients a little bit about what their shortcomings are so that they find leaders who complement them? Is that what you’re talking about when you’re saying define who you are as a leader and what some of your strengths are, some of your weaknesses? What your communication styles are, what communication system you want to use, is that what you’re talking about? Yes. One of the big things that I work on is Energy Leadership Index assessment. That’s an assessment. It is not a personality test. It’s a dynamic assessment that allows the leadership teams I worked with. They take the assessment. It allows them to determine how they function on a day-to-day basis. What types of things trigger them? What areas they can develop or wanted to develop or improve upon, their communication styles? That gives us a baseline of where they are at this moment and how they respond under certain situations. They can start to work on the development of that. That’s where I’d like to start with people because we have certain ways that we respond. People pull triggers on us. As an example, you are in the middle of a treatment and one of your staff comes to grab you and say, “I need to have this day off,” and you’re in the middle of patients. That’s a trigger. There are things that people need to understand about themselves and how they respond so that we can take it to the next level of developing those roles, the role model for the executive team. It is an important piece because you have to understand communication styles and conversations. One of the big things that’s a part of this is conversational intelligence. That’s a whole other area that I worked on with people and how they developed that conversation that develop and engage teams. It is just a phenomenal stuff. It’s great once you can get a hold of it. As you’re talking, there’s not a lot of this stuff that is self-evident. You can’t look at yourself and say, “These are where my strengths and weaknesses are. This is how I am to people,” because you can’t have that perspective. When you’re in the painting, you can’t see the painting as a painter. It’s invaluable that you have a coach or a consultant. Someone who has a greater perspective and with the wisdom along with it to share with you. If you come to me with this situation and you said those words, then I would recommend you not to do that. I’ll give you some feedback and help you train on what a proper communication style would be, so you can confront difficult issues and talk through them appropriately with your team members. There’s a coaching and consulting at this level and dealing with leadership is invaluable and almost necessary. It’s understanding the process along the way. Yes, it’s communication style. It’s looking at engagement in teams, engagement one to one. Developing trust and learning how to deal with conflict and not having a fear of conflict. Getting your team on the same level for commitment because there tends to be lack of commitment. The biggest thing is the avoidance of accountability. To avoid holding each other accountable for your teams because what will they think of me? They might quit if I challenge them on this. How do you build those stepping-stones up within the owner or the leader and then the team members, so that everyone has open, honest, trust, vulnerability and can develop as a unit? Leadership Team: It’s hard to hold people accountable when you’re worried about not being liked. All those things are so valuable when you have a team. The last piece, in particular, hit home with me in holding people accountable because that is so vital but so difficult to do. Most of us, maybe I’m speaking for myself, but a lot of us as physical therapist, we want to be liked. It’s hard to hold people accountable because you’re worried about not being liked. You want to be the good friend, the nice guy, the great boss that’s always positive and chipper. To hold people accountable can be difficult and confrontational and we don’t like that, so we avoid it. That’s a detriment to us as leaders, but also a detriment to our teams and our executive teams. The biggest thing when we talk about developing executive leadership and I said from the beginning it starts with us as leaders, as business owners. We have to role model but many times, we don’t know how to do that. We feel like we have to always have the right answers. We always have to have a response to questions and we don’t. When I work with leaders who get to know themselves, it’s okay for them to be able to step back and say, “I don’t know the answer to this. Can you help me figure this out?” Learning how to engage, there are rules of engagement. There are engaging others because you have to show your own vulnerability, your openness and honesty in order to start that trust. Trust is the first big thing in a team. You have to develop that, demonstrate that. Otherwise, you can’t build anything else into your team without that. Thinking about that, how powerful would that be if you were humble and vulnerable enough to say when someone comes to you as the clinic owner, who they think knows everything? You said, “I don’t know. Can you help me find out the answer to that?” Number one, to show that you don’t know everything. Number two that you have faith in them finding the answer for themselves and that shows that we’re part of a team. Owners and leaders need to get used to opening themselves up and showing their vulnerability even in a meeting. You could go to a staff meeting and say, “We all are here to talk about metrics. We’ve got some metric problems and productivity problems. We all know that’s important for the health of the business. Here’s what I’m identifying. I can’t figure it out. I need you guys to help me figure this out. I don’t understand it. I’d like to have your input.” You, right there as a leader are saying, “I don’t know the answer. I need your help. I need you’re input.” Conflict resolution and conflict in teams is big, but if you don’t have trust, you can’t open up and deal with the conflict and get away from the fear of conflict. I want to back up a little bit as we have those leadership teams developing and creating trust amongst each other is the foundational aspect of having a powerful team. How do you identify or even cultivate those leaders talking to those who don’t even have leaders or don’t think they do? They are maybe a one man show and they’re growing, but they need to start divesting some of their responsibilities. How do you identify and cultivate a leader within your group? How valuable is that because there are some people who may express interest. There might be those that don’t express interest, but you’re looking at them like, “This could be a valuable person on my team if I put them in a leadership position.” If you don’t have that conversation right off the bat like, “Where do you want to go?” You might be surprised by their answers or if you try to thrust leadership upon them and they don’t want that. The conversation is valuable. That’s one of the first things you ask. The next question could be, “Tell me what your aspirations are or yourself both personally and professionally?” Goals are one thing. Aspirations are another. Aspirations are where people feel like they want to go. That’s important because if this is an individual that you’re not so sure about or maybe you are, either way you need to find out more about where they are now and where they want to go. Get that information. Through the course of that dialogue, there are a couple of tips that you should include. When you’re having that dialogue about finding it out, think of this question, “Tell me more.” That’s how you get to know people and get to know where they are coming from and where they want to go. We have employees. They come to work for us to fulfill certain tasks and certain areas that run the business whether they’re clinical or non-clinical. This is true for everyone in the business. Learning how to ask specific types of questions that open up the gates of being honest, authentic, open in a safe environment, not a threatening environment. Those are tools that owners need to have so that they can have that conversation and dialogue. The other one is think of asking questions for which you do not have any answers. That’s another way to create a dialogue because if you’re going to start developing your leadership team and you want to have a team, you need to first get started with the basic foundation, where are these people coming from? Where do they want to go? Those are simple basic tools that they can start with right away to start that dialogue. I have all my clients start with that one. They don’t know where to start. It’s a good place to start the lines of communication. With someone who is expressing interest in doing some leadership, what do you recommend the next steps to be? Leadership Team: You can’t assume that the most productive therapist is going to be the best leader and vice versa. I want to be a leader or a clinic director. I want to be part of this leadership team. The owner would say again to himself, “What do I want out of a leadership team? What does that mean to me? What does leadership mean? What’s the difference between a successful leader and a non-successful leader?” These were all things that they need to have in their mind as part of the discussion. Having that discussion, somebody says, “I work with teams like this.” They have identified themselves wanting to be a leader. We start by the discussion of, “What is a successful leader in your mind?” Define the positives of a successful leader and then the negatives of what you think would distract from being a successful leader. They define it. Ask them, “If you were to be a part of the leadership team here, what does that look like to you? What are you thinking that would make you a part of the leadership team? What are the tools that you need? What things might get in the way?” Start asking questions so you can get an idea of what they are envisioning because many people bring tremendous ideas to the table. You can build on that and explore that by asking these questions. Is there a point where you also share your expectations of them as a leader and some of the expectations of a leadership position where you say, “You’re going to scale back on some of your clinical hours, but you’re going to be expected to be doing more administrative hours and that might take you over 40 hours a week. You have the responsibility for a team now whereas you only have responsibility for yourself in the past.” Do you go through some of those conversations as well? It starts with what we develop in the process of hiring. We’ve switched over from job descriptions to job scorecards. Those are where people are responsible and accountable to outcomes not just to actions. That’s a whole other thing. If you have a leadership team, you as an owner say, “I don’t want to do any more performance reviews. I don’t want to do some of the compliance and regulatory things.” More importantly than anything else, “How is this individual going to mentor and build the team that they’re responsible for?” The other stuff is easy, that’s technical. How are they going to then learn how to develop a team that is under them? You set up structures of meeting with these people regularly. You teach your leadership team how to coach your staff. Coaching them along the way. There are specific tools, questions and processes that they learn so that they can then ask the questions, follow-up, encourage people follow the rules that you’ve set forth. How do you develop and give them the tools they need to be successful team members? In our clinics, when we identified people that could be leaders in our organization, we’d have conversations with them but we’d also give them some tasks. We started giving them small things to work on and see how they would perform in those things. To get a sense of how people interact with them as well. It’s one thing to be a physical therapist staff, but to assume that a great physical therapist is going to be a great leader that can lead people, that’s two different things. Those are two different skill sets. You can’t assume that the most productive therapist is going to be the best leader and vice versa. In our company, it’s important to give them some small tasks. Some projects to lead out on whether that’s maybe working with a charity or a project that had to do with a community event or something like that. Even though they weren’t in leadership positions, giving them opportunities to do some leadership, recognizing how they performed and if they were up to the task. Is that something that you’ve also recommended? 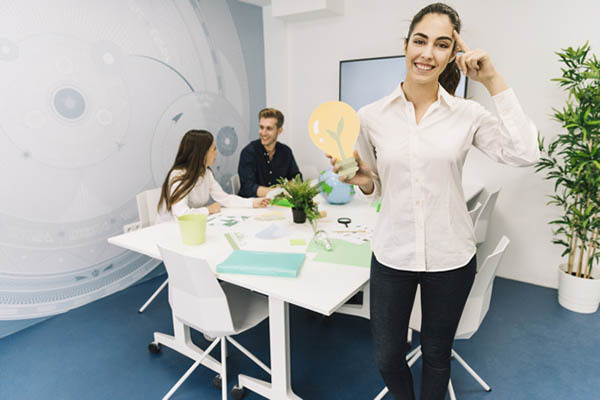 The owners have all the ideas and they need help to bring those ideas out so that they can them in a very purposeful strategic fashion that then gets the results they want. Learning how to work, communicate and develop people takes time. It takes ongoing coaching. One of the things that’s so nice is to teach the leadership team how to coach themselves, but then how to coach the rest of the team. What does that coaching mean? You’re not just saying, “Good job,” patting people on the back. You’re coaching them through all the difficult challenging times because you have set expectations very clearly and concisely on what is expected but how to help them work through that and become successful. Looking at our past experience that was absolutely fundamental to the growth of our company. My partner, Will Humphrey, he is a natural born coach. He received some coaching himself. As he took on the CEO mantle, he was spending a lot of time with the executive team coaching them on how to be leaders and how to handle those conversations. His main responsibility was the results of the company. After that, it was ensuring that the leadership team was coaching them to be better leaders. There’s a huge responsibility there. It doesn’t end. It never ends. You become a masterful leader by ongoing learning and regularly working on those skill sets. You have to make it a regular daily pattern. You reap the rewards when you start to open those gates of communication and conversation and encourage the coaching processes on an ongoing basis. What happens is the stress level reduces, confidence level increase, productivity and performance increase. The growth not only the business but individuals on the team is phenomenal. One of those hot phrases nowadays is engagement, employee engagement goes through the roof. When you’re willing to take the time and coach them on how to overcome obstacles and how to be better leaders and sharing with them your vision. Once they recognize the company’s purpose and that it’s genuine and honest and that you follow through on your promises, then they become engaged in the company that they are a part of. Those type of people will stay with you and be very loyal because they understand the purpose of the company, but they’re seeing it lived. The thing that’s important is we have to be exceptional communicators about the vision not only of the business, but the vision of each of the physicians. Your staff members and team members need to know why they exist on that team. What is their purpose? Everybody in life needs a purpose. If that’s clear to them and that is supported and they see the growth forward, maybe the engagement and the level of energy is off the chart. It does wonders. The amount of productivity, the energy within the company, within the clinic, the individual clinics starts going through the roof and people are excited about the work that they’re doing at that point. Business owners asked me, “How do I develop myself as I develop these leadership teams?” Coaching them on how to coach their team members is phenomenal because they will bring the situations of conflict. Every team has a conflict, has some type of dysfunction. That’s human nature. How do you deal with those at the same time you’re developing your team? Your leadership team comes to you and asks, “How do I deal with these people that are in conflict over this topic?” As an owner, I would say, “What do you want to have happened to have that as a successful encounter?” They start to solve the problem themselves. Not telling them, but you’re continually asking question, what would it have to be to look successful to have that conversation successful between these two or three employees? Then you start to drill down what would you have to do? I do that even as the coach is reminding yourself as the owner that you might not have all the answers. A lot of times, these people have the answers within themselves. You have to coach it to them. Is that what you find? That is exactly right. What happens is when you start to do that and ask those questions and engage people, you don’t own their negative feelings. 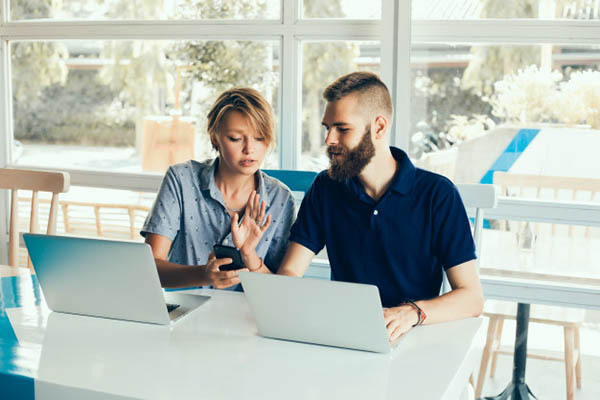 As an owner and someone who’s developing other team members and leadership and in other positions, we often find ourselves reacting to, “I need to do this. I need to respond to this. I need to give them the answer to this.” Our stress level goes up or we start to own their frustration or negative feelings. We, as owners and owner coaches, need to know how to disengage those responses so that we don’t take on their level of negative energy on our shoulders. We help them reframe and redirect those questions and responses so that they can look at things differently and the outcomes much better. Leadership Team: When members come up with their own solutions, it’s more than likely that they’ll follow through with solving the problem. When they come up with their own solutions, it’s more than likely that they’ll follow through with solving the problem. They will. It’s an ongoing scenario. You have to continue to have those dialogues. One of the things that’s critical is with your leadership team and as you work with them from the owner side, you need to set up regular touch points. They may be weekly. They maybe monthly. Touch points are where you meet with people one-to-one and in a group setting so that you are continually touching base with where they’re going, what their needs are, keeping them accountable. Not only you keeping them accountable but you’re keeping yourself accountable to them as a leader. That’s an important piece because it’s not one-sided, it’s both. It is so easy for us to be reactive when we have those questions about the cancellation rates or, “Why aren’t you getting people in?” or things like that. That’s the accusatory. We have to have the conversation of, “Tell me more about why this metric is showing this number? Tell me what you see that is getting in the way of you being able to meet this metric of what’s going on here.” It opens that dialogue and creates that safety net, that openness, that trust that is where these particular conversations and relationships start. To go back to some more detail, how do you recommend people start building their team? Do you see them starting with maybe a marketing person first or maybe someone like a clinic director over operations? Do you recommend to start from an admin perspective and put someone over HR in hiring, firing, training that stuff? What are your recommendations have you seen in the past? When I worked with folks, the clients I have are all over the board. One of them might be developing a marketing person and how do we bring that person up to speed in a leadership position? Another is a clinic director. I don’t dictate or make recommendations to the business on what they should start with. They come to me and they have to identify what they need, where are their pain points right now. From there, that means that they need to identify, “What do I need? What do I want? Where do I need to start with this? If I need someone to take on more clinical director type of activities, which is a pretty common need, how do I identify that person? What do I want that person to do?” You’ve got to be very clear on the expectation of what that particular position is required to do. Looking back on my experience personally if I were to give some recommendations to owners is that the first leadership person you should bring on or train up is in that department that gives you the least amount of energy. The area that you avoid as much as possible, the one that you don’t want to do it. For me, it was marketing. I hated marketing. One of my first leadership positions was getting someone to go out market who actually liked knocking doors and talking to doctors’ offices. That was my pain point. That’s a good point, Nathan, because strong leaders surround themselves with people who know more than they do. I don’t mean that in a derogatory sense, but as you surround yourself by people who are more knowledgeable or skilled or passionate in those areas will make you much more successful business and supplement what you need to have them. It’s such a load off to have somebody go market for me. I could give them directions and sign off on lunches. I’m more than happy to show up for the lunches, but I didn’t want to go out and set them up. That comes because you knew who you were, what your strengths and areas of development. Why put an area of development in something that you have no interest in? Identify someone that can take that on and do that much more probably successfully and effectively. Those are things that owners need to recognize. We don’t know it all. We can’t do it all. We don’t want to do it all but separate the pieces out so you can identify the right personnel to fill and develop that for you. Anything else you want to share with us, Judy, as we’re talking about leadership teams? If people have more questions, how would they get ahold of you and where do you present yourself on social media? They can go to my website and on LinkedIn. I am not a big user of Facebook. Just LinkedIn and website and they can call or email me. Thanks for sharing your insights. I appreciate it. Thank you for having me. I’m happy to help touch people if they need to. We’ll be in touch soon. 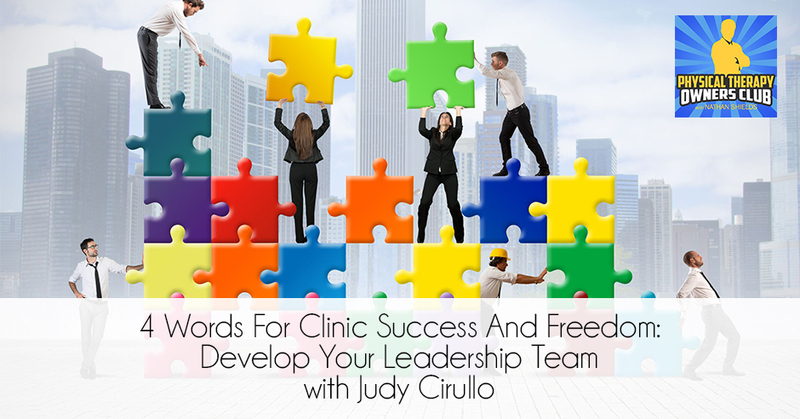 Judy Cirullo has been a very successful physical therapist for 40 years. She has owned, operated 4 private practices with one satellite, one fitness business in 4 different states. She is co-founder of the Aquatic section of the APTA, written 2 books, articles and chapters. In 2015 she enhanced her partnership of helping others reach their potential by focusing on business owner and team coaching. Her passion for helping others shifted from patients to business owners and their teams. Transforming team members into a profoundly unified team who are passionate about their purpose and unified in their mission. She develops owners into masterful efficient leaders, and teams into a productive unified group of individuals that propel the business. 4. Plans for the future. : silent or absentee owner, selling or shifting the practice to another employee.